Here's a bit of a late and short update due to spending the last week in NYC. I did notice that the increase in the U.S. money supply appears to have pushed other prices up in addition to asset prices. 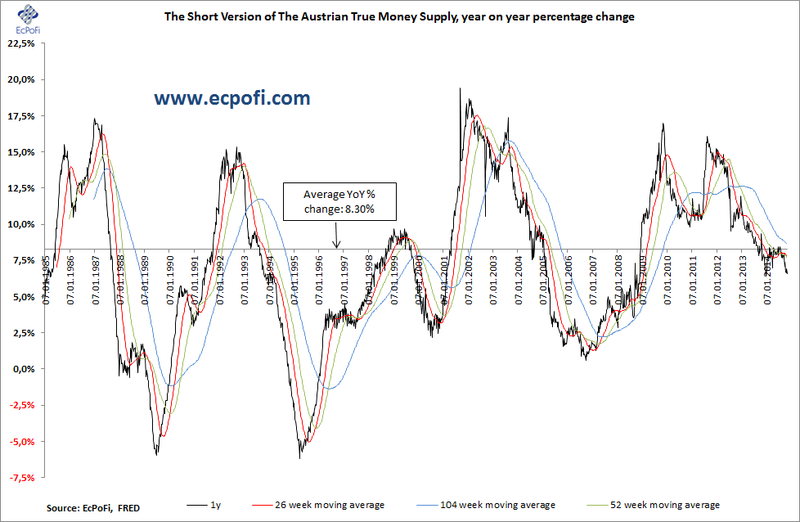 The short version of the Austrian True Money Supply for the U.S. increased 0.61% on last week for the week ending 3 November 2014. At $10.3820 trillion, a new high, the money supply is now up $498.7 billion, or 5.05%, year to date. The 1-year growth rate fell to 6.57%, down from 6.90% last week. The downward trend in the growth rate hence continues. The growth rate has averaged 7.43% during the last three months which is substantially lower than the 8.30% longer term average.